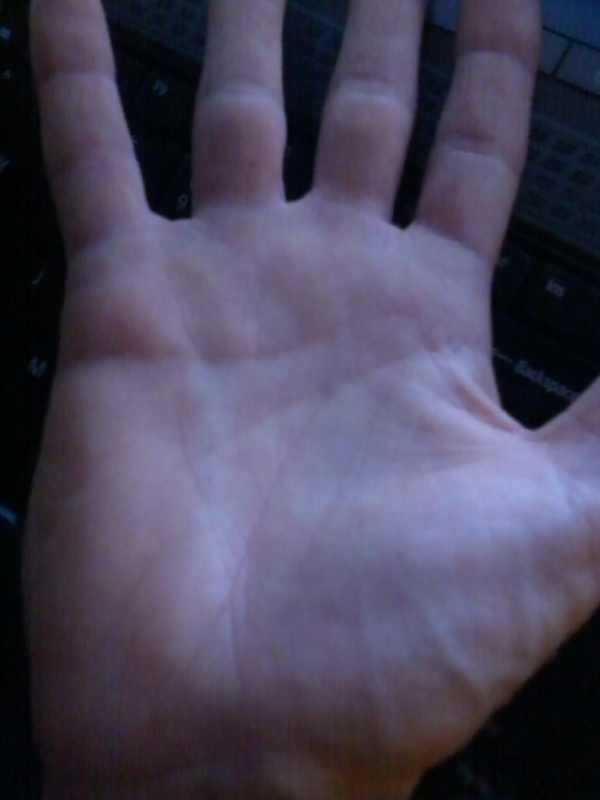 I have a question about my life line on my right hand. To start with my air line has a noticeable kind of arc bump. Or like two subtle hills. 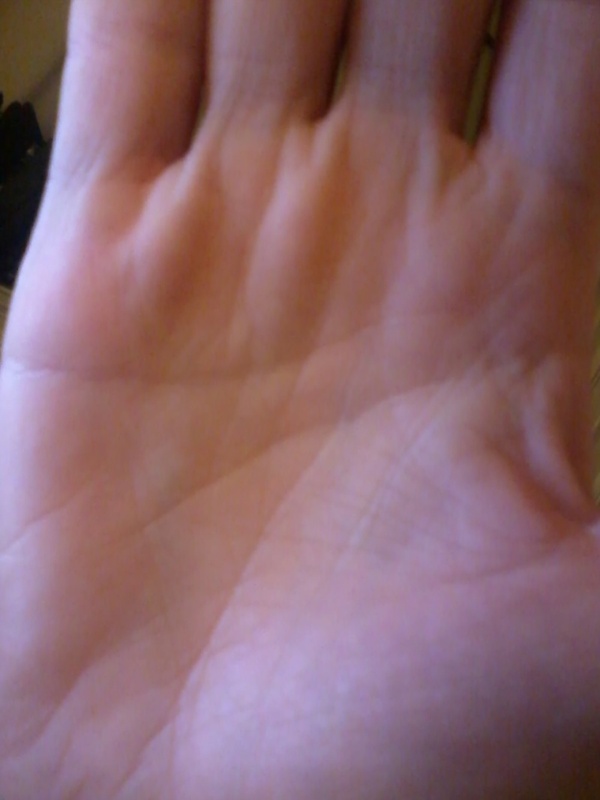 There is a criss cross start before forming a more defined line and then when it hits under almost the centre of the saturn finger there is a noticeable kind of dot or like dip before it continues with a subtle hill like descent down towards the percussion where it ends averagely between the apollo and the arial finger. 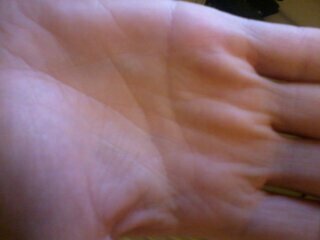 Also the dot is significant in that this is where my so called life line branches off. The life line here though I can see actually has a starting line which is vertically crossing the air line, tho subtle, it is apparent to me so it must be there. It is like it is wanting to be a fate fire line.. Or it is?! Which would make sense that i have two support lines running inside the s called fire line. The support lines are fainter, yet apparent. 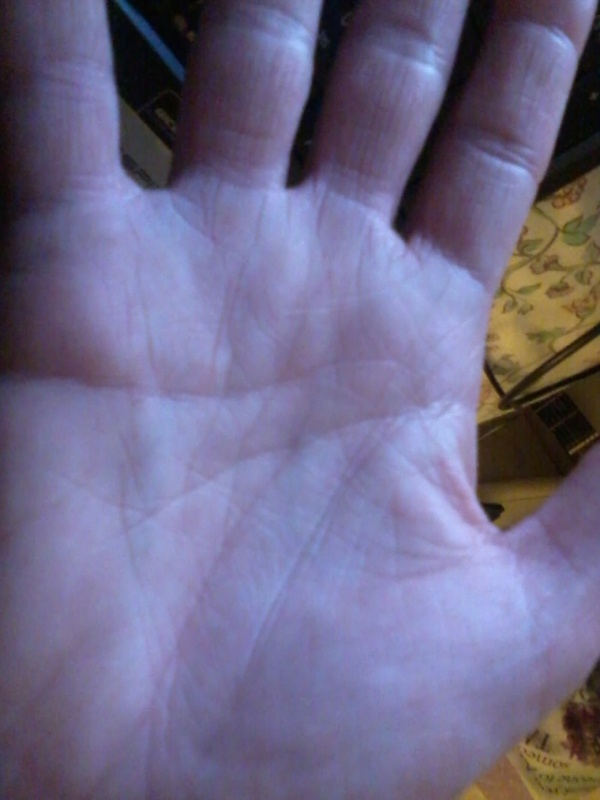 The same vertical line beginning under the saturn finger of my left hand too applies. So it could be the lifeline starting to separate half way down the air line, and yet tiny line crease moving through and above denotes a slightly different turn on it. I see other aspiring lines flying up toward the wall finger which shows the fire line is definitely manifesting itself, where it was lacking ten years ago. 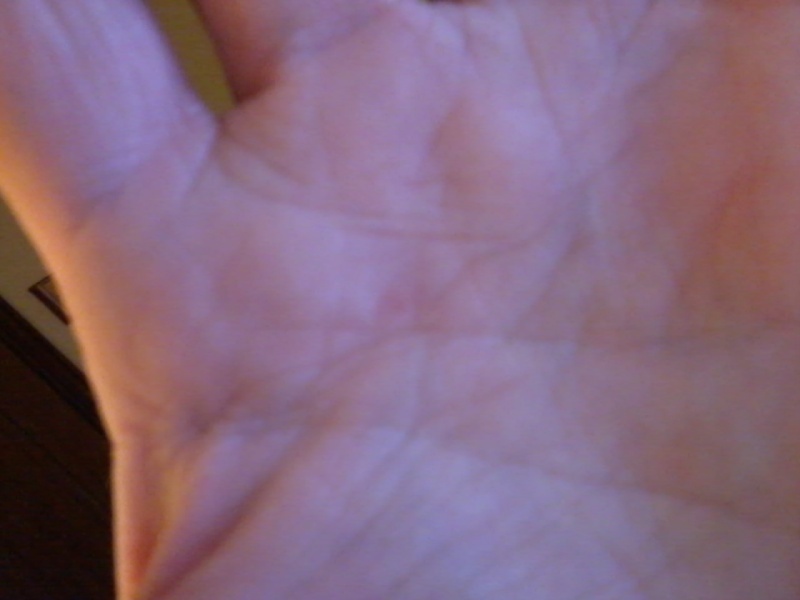 I also have support line on the inside of life area on the left hand, though fainter than the right and starts kind of like its shooting down from the jupiter mount. Can a life line be confused into thinking it is a fire line?! I guess so! What does this crossfire approach denote? Pictures would help, thanks.It's hard to give analysis without one. Based on what you say, the head line is indicating some kind of stressful period, (the rise may be a happy period) and the life line leaving the head line shows around about what age you become independent. The longer the life line is tied to head line, the more dependent the person may be in general such as no steady career, responsibilities to family before moving out etc. What is your age? I am 35 in January. I can take another of left if needed. otherwise, there they are. U cannot really see the line going up through the air line on the left on these pics. Thank you for sharing those photos. But sorry, I would prefer to ask you to present new pictures of both hands?. 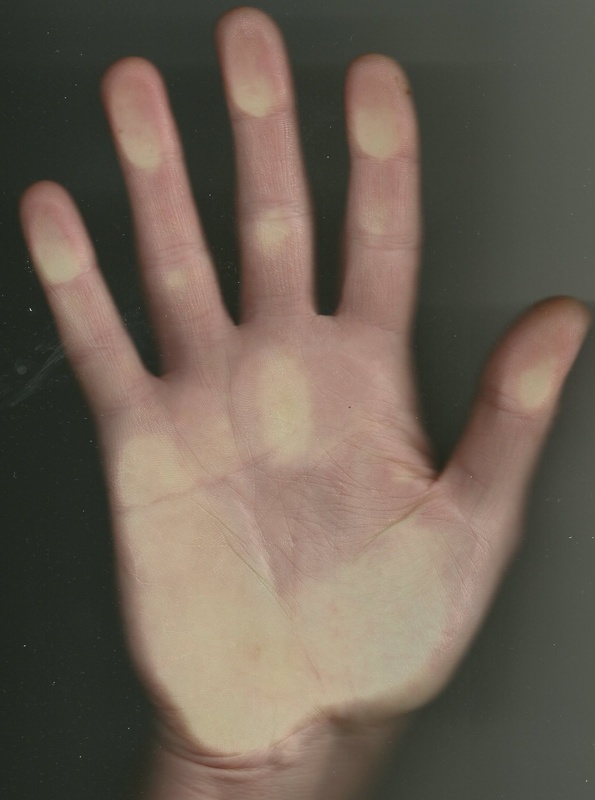 My problem with the pictures presented so far concerns the light source - because it appears that the light is comming from the left side... and as a result it does not put equal light on all parts of the hand. Therefore it appears as if the life line is rather weak in your hands, but I think/expect that it is actually slightly stronger than suggested by the pictures. I hope this request makes sense? I am now not happy with the light! I will try and post some up tomorrow, once I have caught the best light in the best room. Your new pictures are already much better! 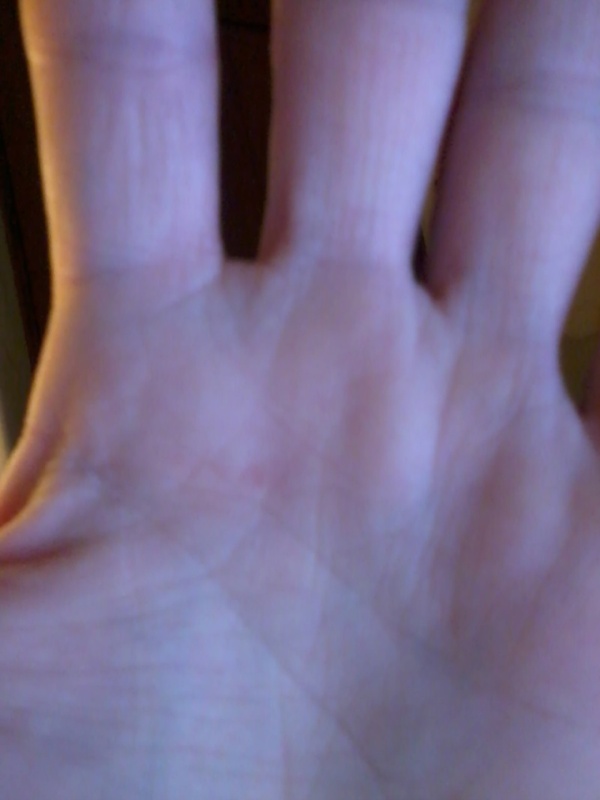 (They confirm what I expected regarding the inner line near the thumb). 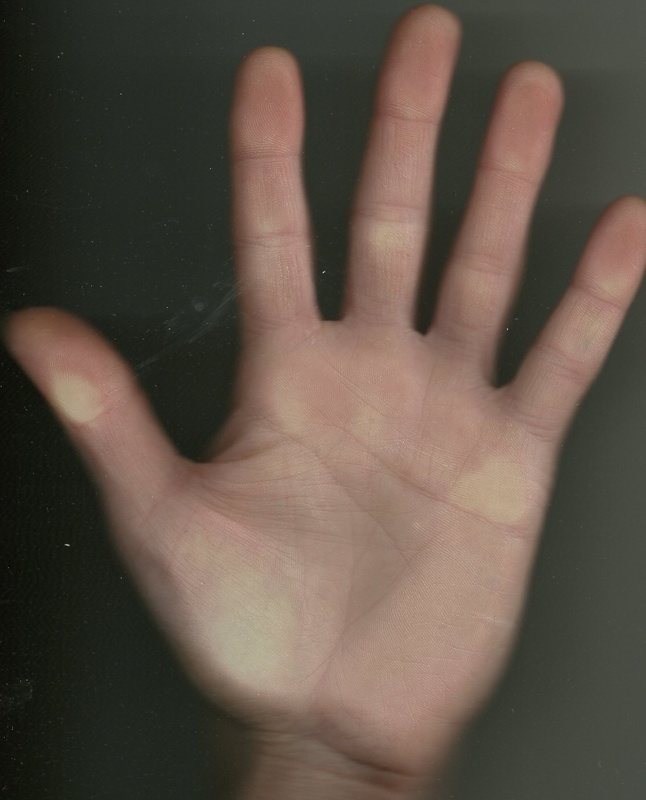 By the way, I especially look forward to a full palm photo of your left hand... because I need it to evaluate the ambiguous aspects of your right hand. Yes, I am a great friend of Johnny's. I took part in a few hand workshops about ten years ago. Those words are easier for me to remember for some reason ! Martijn...I am have attempted whole scan of both , plus more pics from a camera phone. When I uploaded them, I looked at them in picture manager and picasa and you can see the lines really clearly when you zoom in. Thought the only part that is not as focused is-of course - the earth meets air line dot. 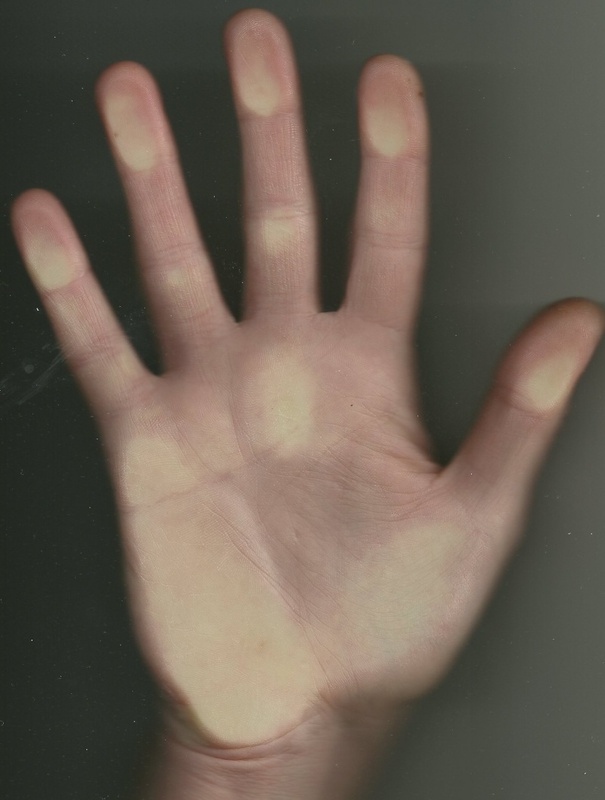 Its hard to press centre of your palm into a scanner without breaking the top! If you want i can delete unnecessary ones.